Here is a crucial book for you if you want to shield your family from the effects of our selfish secular culture, which destroys families and poisons relationships. Fr. 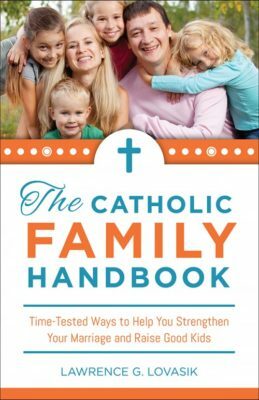 Lawrence Lovasik, the renowned author of The Hidden Power of Kindness, gives faithful Catholics all the essential ingredients of a stable and loving Catholic marriage and family — ingredients that are in danger of being lost in our turbulent age. Using Scripture and Church teachings in an easy-to-follow, step-by-step format, Fr. Lovasik helps you understand the proper role of the Catholic father and mother and the blessings of family. He shows you how you can secure happiness in marriage, develop the virtues necessary for a successful marriage, raise children in a truly Catholic way, and much more. The secret of gaining God’s blessing and peace upon your family: do you know it? The primary requirement for family happiness: does your family measure up? Four qualities that every good parent has: can you name them? Do you have them? Plus much more that will help you imbue your family with Catholic values!